A look into the longboards made by this Lehi-based business. 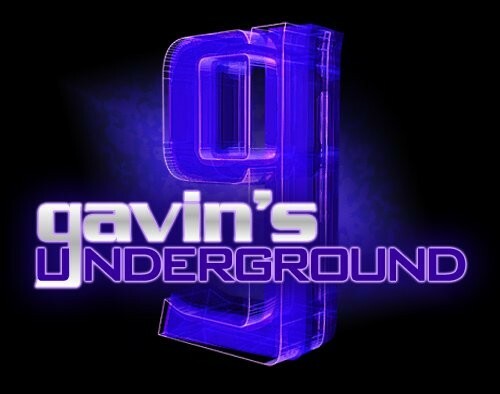 Gavin: Hey Keith, first thing, tell us a little bit about yourself. Keith: I was born and raised in Southern California, moved to Utah when I was 30 and have worked in a NICU with premature babies as a respiratory therapist for the last 20 years. I also play bass guitar and sing; currently in a cover band called Countdown. I have two grown daughters, Hailey and Morgan, and I currently live in Lehi with my wife Tanya and three dogs. What first got you into skateboarding growing up? Growing up I was really into surfing. 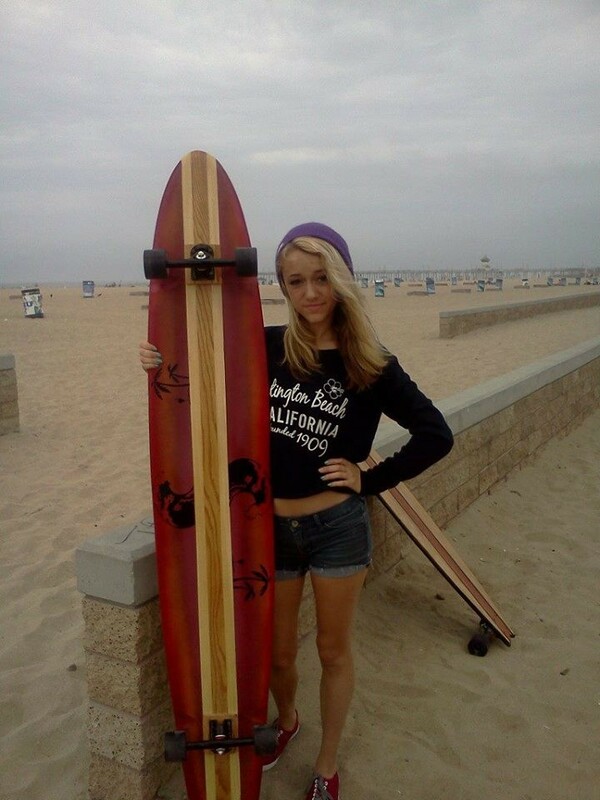 I couldn't afford a new board, so I was always using my older brothers' old longboards. When I graduated from high school, I managed a surf shop, but still loved the purity of paddling out on a nine-foot noserider. We all skateboarded where I grew up, but all had homemade boards with old roller skate wheels and carpet stapled to the top of the boards. When I was in junior high school and high school, I had a few friends who were pretty serious about skateboarding and had ramps and stuff, but I was more into it as a means of transportation. 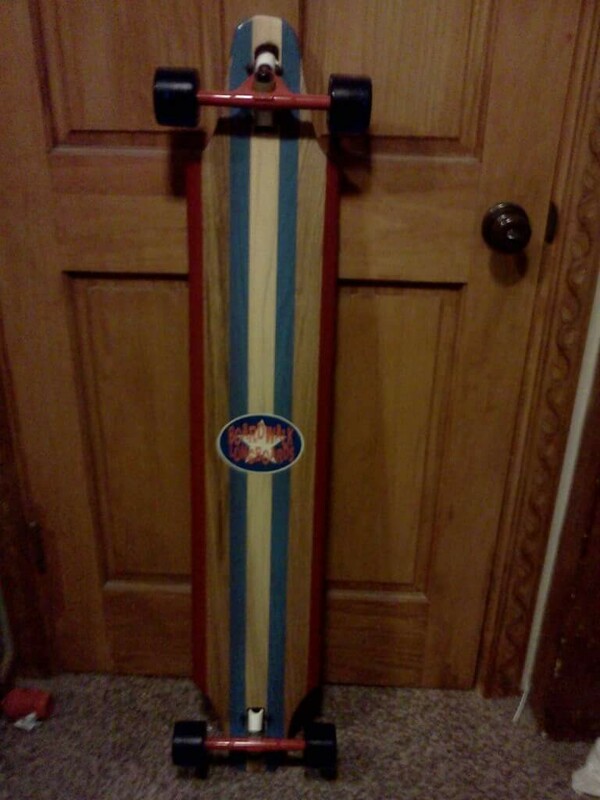 What sparked your interest in longboards? My daughters got into longboarding about 10 years ago, and I realized that if I wanted to keep up with them, I'd have to start longboarding. I looked around and tried out a bunch of longboards. I liked a few but wanted to get the feeling of longboard surfing: riding the nose, walking the board, long smooth cuts, etc. What made you decide to start up your own company? I looked around for six-foot or bigger boards, and couldn't find any, so I sat down one night and drew out my ideas on paper and set out making a board. By the way, I still have that first six-foot board I made. My daughter Morgan and I set up a little longboard factory in our garage and started making them for friends. We've never really advertised at all, just word of mouth. What was it like for you getting everything together to launch it? It was really exciting when we started making the boards for other people. We had a website and Facebook page, which was really fun putting those together. 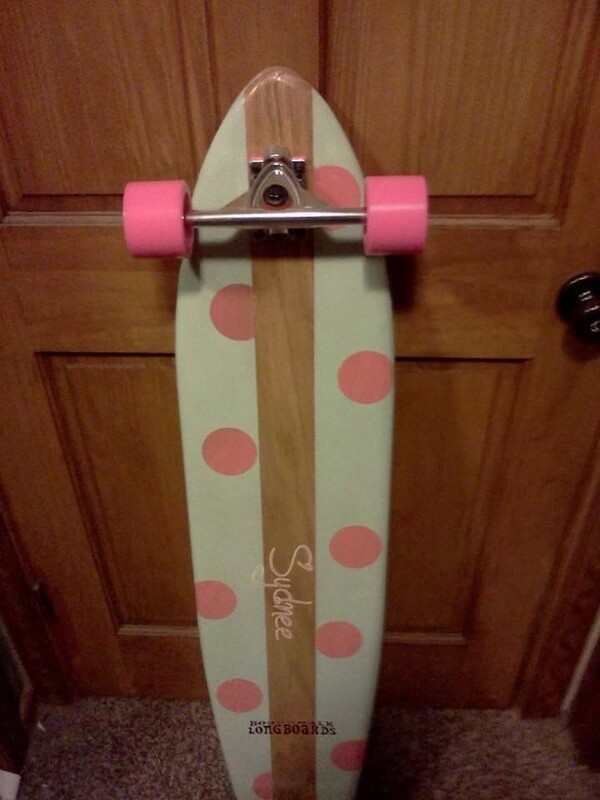 How did you decide upon the design of your boards? What distinguishes them from other brands? I tried a lot of different designs when I first started making them. It was all trial and error until I found a design that looked and responded the way I had it pictured in my mind. Our boards have a vintage look to them—hardwood stringers, vertical lamination, natural wood grain—4-6 foot sizes, and every board is completely handmade. What's the process like for you when creating a new board? I make almost all of the boards custom, so the buyer will give me an idea of what they want, and I just go from there. How do you go about finding artists to contribute to the designs? Most of the artwork I do myself or have my daughter do it. 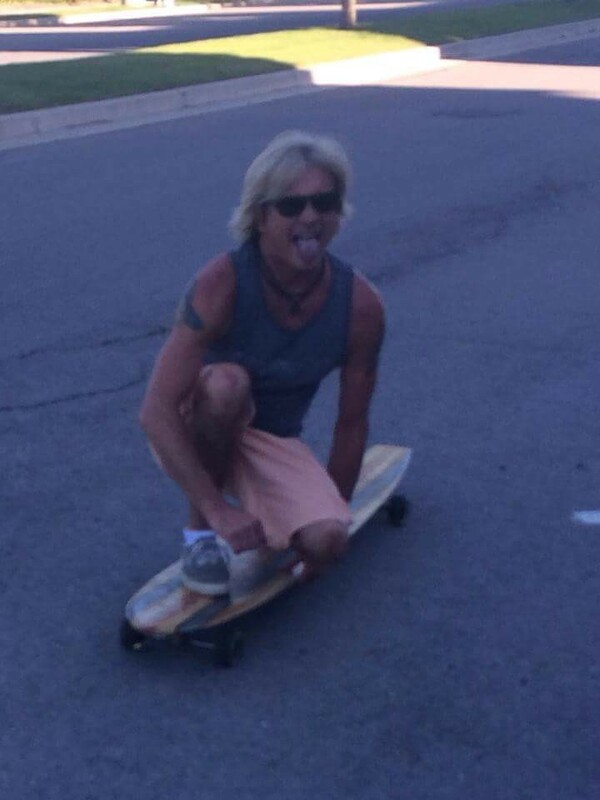 I have had a few local artists paint the boards, or in some cases, the consumer themselves. What's the reaction been like from people so far? We've had really good reaction from people when they see our boards. They are really different from anything out there. 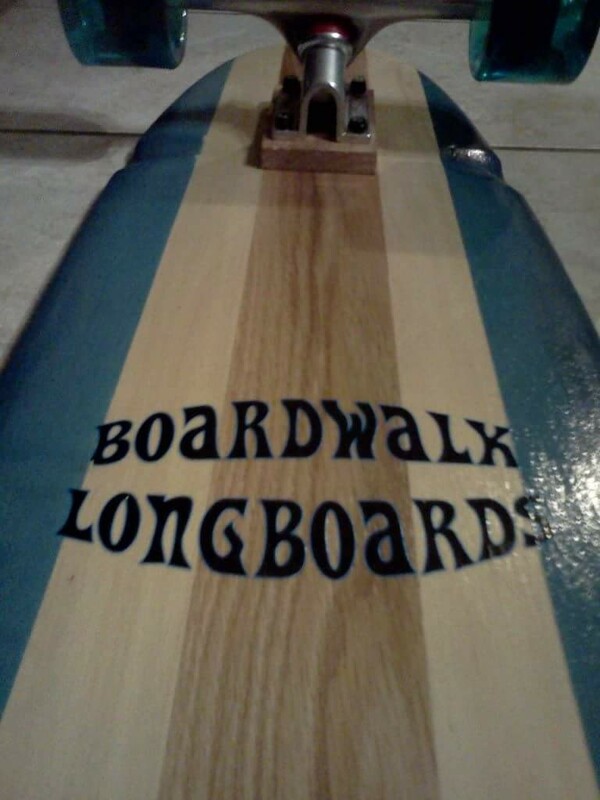 What can we expect from you and Boardwalk Longboards over the rest of 2016? We've taken a hiatus from all but a few special boards the last year or so. We just built a new house, new yard, new shop, etc. We are hoping to get back to making the boards very soon and eventually hope to eventually branch out into retail stores. Until we get our website back up and running, people can reach me at silver.surfer64@yahoo.com, or message me through our Facebook page.